Cathy Johnson (no relation) writes the excellent Shed of Reality blog which she says "exists to encourage all those who have ever wanted--and needed!--a tiny getaway close to home. A workshop, playhouse, garden shed, sanctuary, mini-greenhouse, studio, home office". 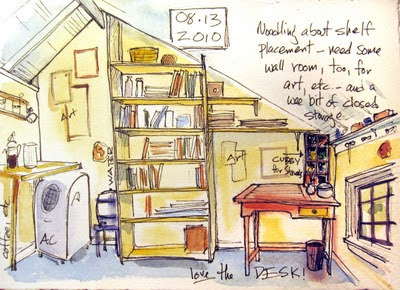 Lots of nice ideas about fitting out your shedlike atmosphere plus technical and official information as well as lovely sketches and artwork to admire. Well worth a browse and you might also be interested in hunting down a secondhand copy of her book A Naturalist's Cabin. Not at all, Alex, it's a fun read in addition to being so useful and encouraging. I plan to do a book review on my Shed blog when I get the chance to check out all those wonderful links! I hope you do very well with the book! I write too, for North Light, and sometimes books just kind of fade. Yours deserves to stay in print for decades! 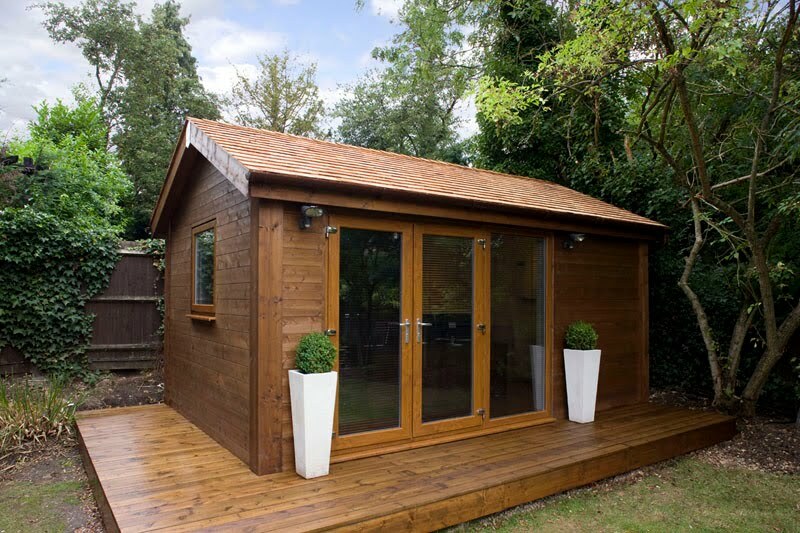 What is a garden office? Is working from home greener than commuting?